Large size file transfer and sharing were one of the difficult tasks some years ago before the android era and smartphones. We were used to of Bluetooth for file transfer which is limited to share file size to some extent. File transfer via Bluetooth is very slow. 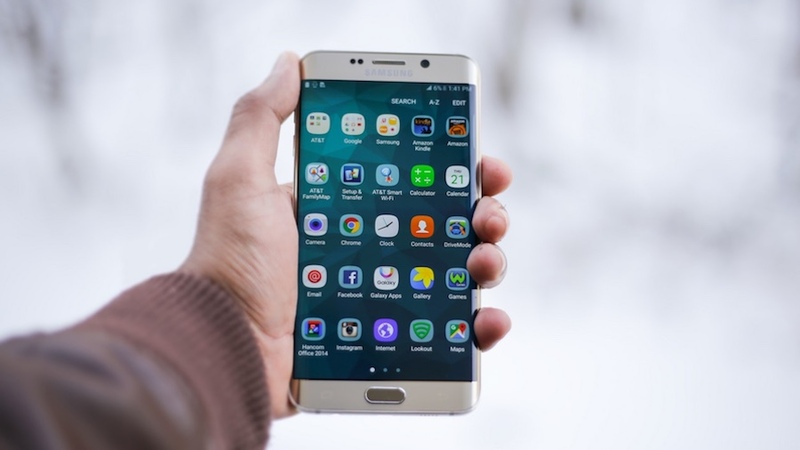 When Android and smartphones got much more developed along with WiFi technology, so many apps are developed to share and transfer files between smartphones in very fast. Here are the best apps for faster file transfer for smartphone users. Xender is the file transfer app that has a high transfer rate while sharing the files. Xender uses WiFi technology to share files between smartphones. Xender transfer files 200 times faster than the Bluetooth file transfer. The transfer data speed is up to 50 Mb/sec. Before transferring files between smartphones, needs to authenticate the smartphone or pairing so the files can be transferred between the correct devices. Transfer any types of files like music files, mp3, video file formats, zip files, apk files, doc files, pdf etc. The high size video files such as movies can be transferred within a very short time using the xender app. Xender web version is available to transfer files between personal computer and smartphones. For this, you just need to scan the QR code that shown in the web using your scanner available on the xender app. Xender is available for all Android, iOS, and Windows platforms. Jioswitch is very fastest file sharing and transfers app from Reliance Jio. Jioswitch app download free to transfer files in flash speed, and Jioswitch is very secure file sharing app. Jioswitch is a cross-platform file sharing app where you can transfer files between devices running on android and ios. The file transfer speed is up to 50 MB/second. You can use the Jioswitch app without any noise due to the advertisement seen in the app interface. Jioswitch is an ad-free app. By installing Jioswitch with the help of android emulators, you can transfer files between WiFi enabled personal computers. You don’t need to have data pack activated to transfer the files using Jioswitch app. TRansfer files of any type and any file size, in very high speed. Easy to use user interface allows you to connect and share files very easy. Shareit app is very easy to use file sharing app to transfer files at high speed. ShareIt also transfers the files at high speed and 200 times faster than Bluetooth. One of the important features of ShareIt is when any errors occurred during the file transfer and half files size completed and you try to reconnect the device and resume to transfer files, then transfer process will start at the point of termination. You can share and transfer any file format, and no file size limit. Recent update of shareIt added some more features to the app. Now the shareIt provides entertainment like videos, songs, news etc online via notifications. You will get a notification and can enjoy the contents. Ads serving is with shareIt, you can see ads while watching their content. Just rather than file sharing, shareIt provides such entertaining contents for its users. And the users can share the contents to social media channels via share button. AirDrop is the file sharing app by Apple Inc. The app can only be used with iOS and Mac operating system devices. The Android version is not available. This is developed to share the files between iPhones, iPad, mac based computers etc. so called as just for Apple manufactured devices only. Just swipe to transfer and sharing the files between the devices connected with airdrop. Make sure you are sending the files to the correct device that are in the range of wifi or Bluetooth. This peer to peer file sharing app allows you to share files of any types, contacts, vCards etc. MiDrop is very easy to use file sharing app from the smartphone manufacturers Xiaomi. The app is default installed on all the Xiaomi smartphones and updated when you update the MiUi operating system. This app also transfers files in very fast with the help of WiFi between devices. You can install MiDrop even if you are not using Non-Xiaomi smartphone. MiDrop was announced and launched with MiUi 9 updates. MiDrop not showing any annoying ads during the app usage. Devices can be connected via searching and by scanning QR codes. Just use QR scanning to connect immediately. So using, there is no any unwanted list of devices which is present in the corresponding WiFi surroundings.